Naparima MP Rodney Charles is criticising PM Rowley, his clueless Foreign Affairs Minister Dennis Moses and the perpetual investigator, Edmund Dillon for their total abandonment of the T&T family detained in Iraq. “For the past seven months, the UNC has been calling on this Government to verify whether these reports from foreign media were accurate and to seek the interests of the T&T women and children detained. Now that a UK newspaper has confirmed that they are in fact T&T nationals, our Minister of National Security has scurried to “examine” this latest report.” says MP Charles. As far back as January 12th, following a further question in Parliament from MP Charles, Minister Dillon indicated that the Ministry was investigating the accuracy of these reports through diplomatic channels. However, it seems as though this bore no fruit since he could neither confirm nor deny whether the report was true. Three TT fishermen were recently treated to this same level of negligence. Captured in TT waters and carried to Venezuela, they languished for weeks with no appreciable attempts by our Minister of National Security, PM or clueless Minister of Foreign Affairs, to give them the level of support required in the circumstances. This should be a wakeup call for all TT citizens resident abroad. Our citizens in the Florida area are being underserved by our Miami Consulate based on recent media reports. Even our scholarship winners abroad have found themselves in dire financial circumstances due to late payments of stipends from the T&T Government. 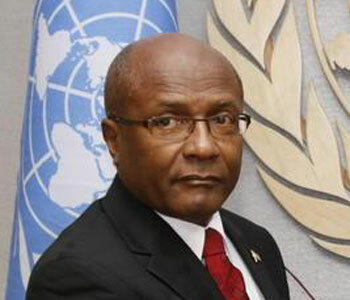 “Our Government either through TT’s UN Mission in New York or High Commission in London could have enquired from their respective diplomatic counterparts about the status of our citizens and taken minimal steps to ensure that our detained citizens at least received a fair trial.” That is the very minimum that our consular agencies could have done in the circumstances given that the women involved may have been unwittingly influenced. Reports indicate that their state-appointed lawyers were paid just $30 for each case, and most were not given access to their clients’ files as the intelligence relied on in terrorism cases is usually classified. It is clear that this PNM Government has abandoned our citizens abroad by feigning ignorance, being less than expeditious in their investigations and shirking the responsibility of having to deal with them. If you are abroad and find yourself knowingly or unwittingly in difficulties, under this PNM administration you are essentially on your own, says MP Charles.